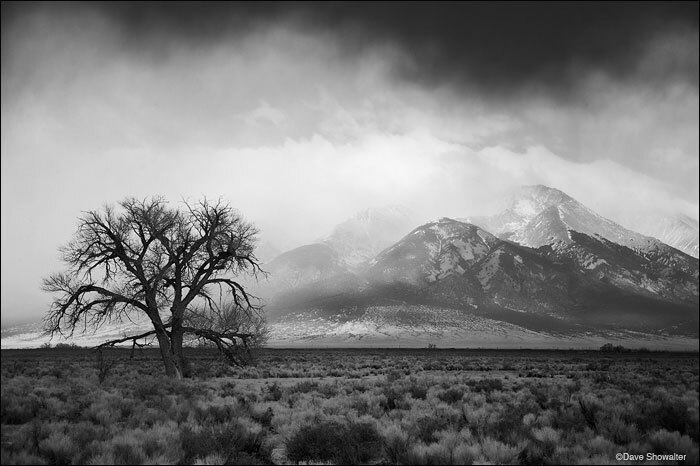 A spring storm passes the Blanca group in the southern Sangre De Cristo Range as sun lights the base of the mountains. Lone cottonwoods in the San Luis Valley indicate an underground spring. Photo © copyright by Dave Showalter.